Toulouse (in Occitan Tolosa) is a town in the south-west of France, capital of Haute-Garonne (31) and the Midi-Pyrénées region. It is also known as the capital of rugby and violets and is nicknamed “the pink city” because many buildings are made of pink brick. Toulouse is a town in the south-west of France, capital of the Midi-Pyrénées region and prefecture of Haute-Garonne, halfway between the Atlantic Ocean and the Mediterranean Sea. It is the fourth largest city in France, after Paris, Marseille and Lyon, with a population of 1,250,200 inhabitants. It is also the largest European city specializing in aeronautics and space, with companies such as the EADS group (Airbus and Astrium), the SAFRAN group (Safran Power, Technofan, Labinal …) Thales group (Thales Avionics and Thales Alenia Space), CNES etc. 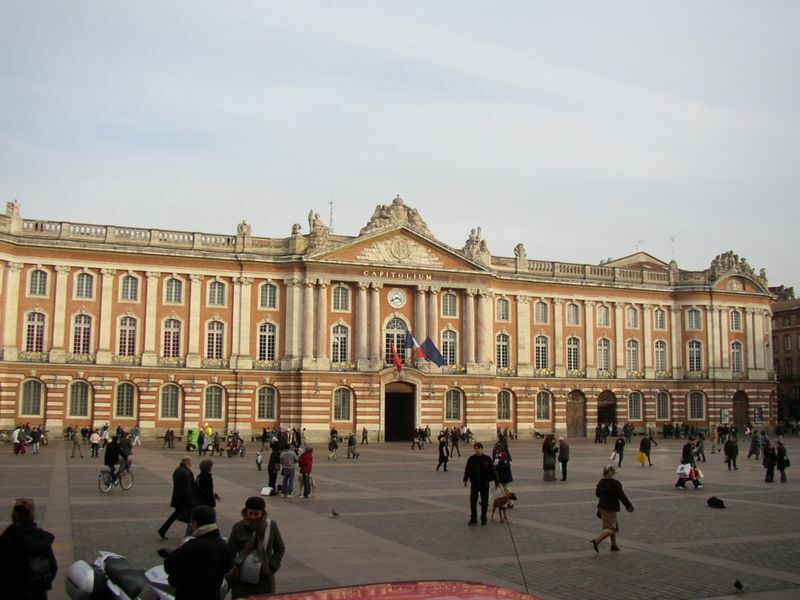 Finally, Toulouse has the fourth largest student population in France with 103,000 students. The airport of Blagnac (IATA code: TLS, code ICAO: LFBO) is the only airport providing commercial connections for the city of Toulouse. It is located about ten kilometers from the city center. 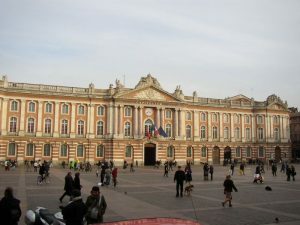 From the airport, the city can be reached either by the Airport Shuttle which takes you to Toulouse city center (8 € ticket, 4 stops at Compans-Cafarelli, Jeanne d’Arc, Allées Jean-Jaurès, and the railway station of Toulouse-Matabiau) or by bus 66 of the woven network (urban transport network of Toulouse) which for 1 € 60 will take you to the left bank of Toulouse. Its terminus is St Cyprien Republic, very close to the city center. The tram also passes not far from the airport. The A621 motorway provides access to the airport via exit 3 in about ten minutes (if the traffic is fluid). The national road 124 then the secondary road 902 also allow access to the terminal. There is a shuttle service to Matabiau station (at the bus station) and three intermediate stops (Compans-Caffarelli, Jeanne-d’Arc and Jean-Jaurès). The frequency of buses is 20 minutes and it takes 4 euros for one way. Line 25 (Blagnac – Cantayre / Blagnac – Roussillon) of the Tisséo network serves the airport at the airport stops (towards Blagnac – Cantayre only), Doret and CRCI (in both directions). The line 66 (Toulouse Blagnac Airport – St Cyprien Republic) brings you close to the city center for 1 € 60. But the journey is probably longer than with the shuttle. Finally, a branch of the tram line, which passes in the immediate vicinity, must reach the airport in 2013. The company INTER-SUD offers you transfers from or to the airport of Toulouse-Blagnac, in vehicle with driver from 3 to 55 people. Rates are indicated on the website of this transport company. This company also offers updates for all your visits. Toulouse has a ring road (the A620 motorway) which leads to the A20, A61, A62, A64, A68, A621 and A624 motorways. These major routes make it easy to reach Paris, Bordeaux, Marseille and Barcelona. More and more bike paths are set up in the city but Toulouse have a hard time leaving their car. Know that driving Toulouse (except exception) is really not courteous and the saturation of the streets does not help things. It is not uncommon to find cars stopped or even parked on bike paths. It is not uncommon to find grumpy drivers who will hoot if you find yourself in front of them in the very narrow streets. Avoid using sidewalks as much as possible because it is often dangerous to share such a small space with pedestrians, who are often not very attentive to bicycles. Not so much for you (though) but more for pedestrians than you could accidentally jostle. That said, the bike is the best way to get around Toulouse, free if you already have it or you have it ready, faster than the car given the saturation of the streets and whatever you say, faster than the metro and buses that are bothered by traffic.